George is 18. Before joining the Brotherhood’s Reconnect program, he could not find work after finishing school at Year 10. Within three months of starting a job brokered by our Reconnect program, George was promoted to team leader. George says Reconnect helped him learn how to get a job and perform in an interview, offering guidance every step of the way. 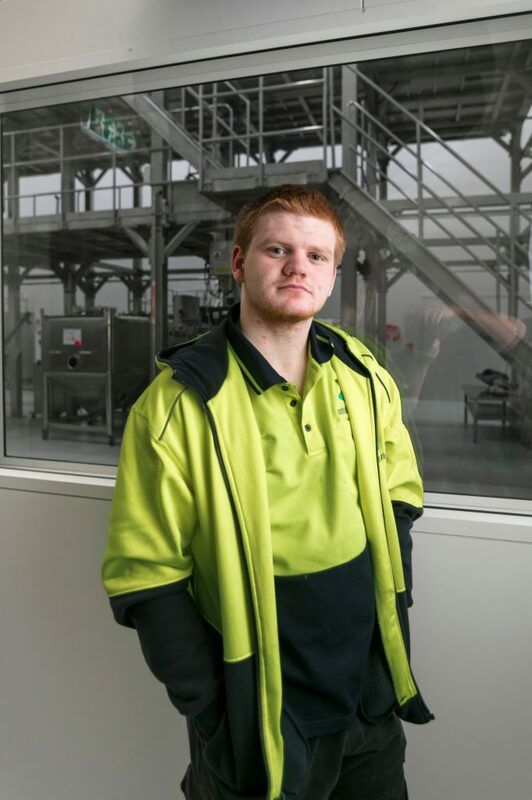 Because he had struggled at high school, George was surprised how quickly he picked things up in his new role as a process worker with Australian Dairy Park. “I’m in charge of five people. I’m training two guys and I make sure everything is safe,” he says. Help us continue to change lives for people like George this Christmas. Please donate today. The Brotherhood of St Laurence works to alleviate and prevent poverty in Australia. Poverty is not just having too little money to live on. It can also mean being shut out from many other aspects of social and economic life that people commonly take for granted: a job, a home, and being connected to community. Our programs and services provide education, training, employment and care to people experiencing disadvantage so that they’re able to live a good life. We also invest in research and advocacy to drive systemic change so that all Australians can enjoy economic security and social inclusion. With your support this Christmas we can create lasting change for those most in need.